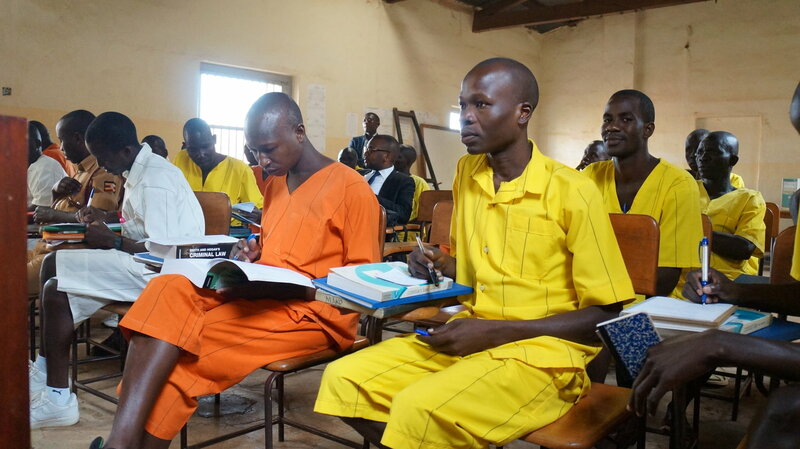 Heavenly Father, on International Prisoner Justice Day, we take a moment to rejoice in the positive things happening within the Kenyan justice system. We are inspired by the story of Peter Ouko, who went from being imprisoned for murdering his wife (whether justly or unjustly) to becoming the first-ever inmate in Kenya to earn a law degree while incarcerated, to defending the rights of African prisoners through his prison charity Crime Si Poa. We are thankful for the work of African Prisons Project, which provides healthcare and education within prison systems across the African continent. And we are grateful for the work of former vice president Moody Awori, who began the reforms within the nation that led to re-humanizing prisoners and breaking down (in a healthy way) barriers between prison staff and prisoners. Despite their (sometimes horrific) errors, we know that every single prisoner on earth is made in your image and needs to be connected with not only his/her inherent worth, but your Truth, grace and hope. So, on this day, we not only celebrate the progress that is being made, but we ask for more progress. We pray for renewal, revitalization and revival within prison systems. And we ask you to show us if there is anything we should do personally beyond prayer. In Jesus’ name we pray, amen.